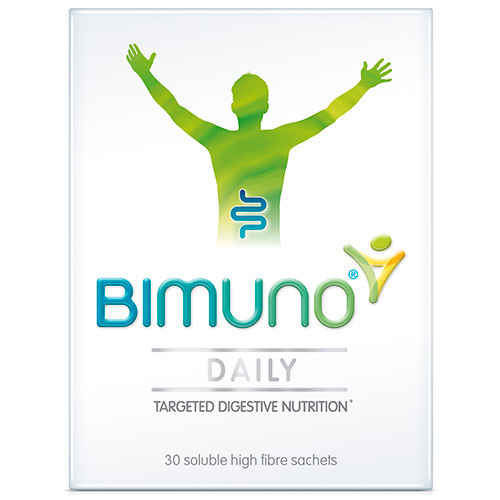 For individuals who wish to support their gut health and overall wellbeing, make Bimuno DAILY part of your daily routine. Simply add a sachet to tea, coffee or a smoothie. The Bimuno range contains a special fibre which feeds the friendly bacteria that live in your digestive system, supporting the digestive process and general wellbeing. Targeted to reach the lower intestine, increases gut bifidobacteria in just 7 days, proven in independent scientific studies. Bimuno understand that the digestive system sits at the core of our being. Of course, that`s not their original idea. It goes all the way back to the ancient Greeks! A few thousand years later, back in 2004, Bimuno built on this knowledge by starting their own great adventure. They encouraged some of the world`s leading scientists to develop a unique targeted digestive nutrition that feeds and encourages certain types of bacteria natural to our digestion, including the important bifidobacteria. Make Bimuno DAILY part of your daily routine. Add it to tea, coffee or a smoothie, or even sprinkle it on your breakfast cereal. The choice is yours. Adults and young persons 12 years of age and over: Take 1 sachet daily (3.65g). Children aged 4 to 11 years: Take half a sachet daily (1.83g). Store in a cool, dry place below 25°C, out of sight and reach of children. Below are reviews of Bimuno DAILY - Targeted Digestive Nutrition - 30 Sachets by bodykind customers. If you have tried this product we'd love to hear what you think so please leave a review. Works excellent, better sleep after just a week's use.